To be successful, Avril, like most NFL players, is convinced he can’t worry about life after football. And yet less than a minute later, in the same breath, he admits he thinks about the end, even while acknowledging that he can’t really think about it. 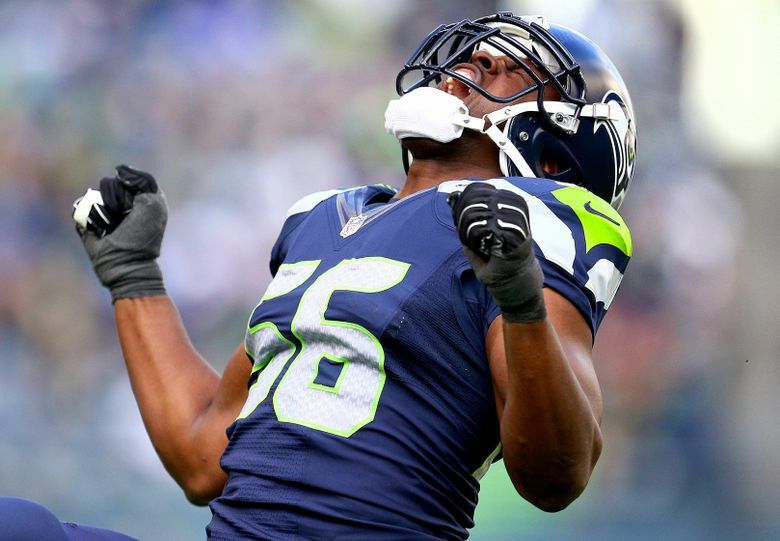 Cliff Avril watched the end of the Super Bowl in February like you did, on TV, except he was in an empty locker room. His wife sat beside him, rubbing his back. The problem was with the broadcast. Because it was delayed, and because he was deep inside University of Phoenix Stadium in Glendale, Ariz., he heard plays before he saw them. So when Seahawks quarterback Russell Wilson threw an interception from the 1-yard line in the final seconds, Avril heard the roar before he saw the play that cost his team a second consecutive Super Bowl. By the time Avril watched it, a few teammates were running into the locker room crying. Avril, a defensive end, was in the locker room because he had been knocked unconscious, face down, during the third quarter and left the game with a concussion. How long is the average NFL career? This is a confusing number to nail down. Both the NFL Players Association and the NFL released statistics in 2011, but the numbers don’t match. The players’ association typically uses this figure. The NFL estimated that rookies who make the 53-man roster average nearly seven years in the league. The 2011 NFL study also said the average first-round draft pick lasts more than nine seasons. This number has been highly disputed. This was not new. With Detroit several years ago, he had a concussion so severe it actually scared him. His concussion during the Super Bowl didn’t produce the same symptoms, but when doctors told him he couldn’t go back in, he didn’t protest like he might have when he was younger. “People ask me about the whole concussion thing, and I’m glad the docs didn’t put me back in,” Avril, 29, says. “Yes, it’s a huge game. Yes, (Patriots quarterback) Tom Brady killed once I left, and it’s unfortunate. He is wearing a Seahawks hat and gently pounds the table for emphasis. 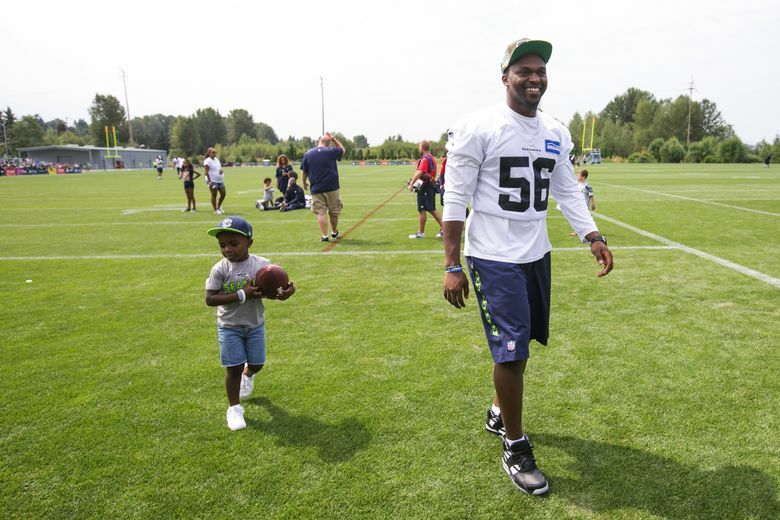 “You tell me a good parent that loves their job more than their kids,” he says. Avril is in his eighth season, which means he has played more years than he has ahead of him. This puts him in a strange position. To be successful, Avril, like most players, is convinced he can’t worry about life after football. And yet less than a minute later, in the same breath, he admits he thinks about the end, even while acknowledging that he can’t really think about it. Football demands immediacy. The game is so violent that injury is inevitable, and every player knows he could be one play from retirement. The NFL by its nature operates as a chamber of tension — contracts rarely are guaranteed beyond a few years. But there is another reality, which is so obvious it is easy to forget: Players enter the league out of college, but then they grow up. They get married. They have kids. They plan for things they rarely considered as rookies. Avril is concerned with life after shoulder pads. He asks former players what it’s like, and most say it’s a struggle. He’s befriended wealthy mentors in Seattle to teach him about finances, and he values their expertise so much that he won’t reveal their names or occupations. He has dabbled in real estate and thinks he and his wife could flip houses some day. At the least, he hopes to have a plan. He learned perspective young. Both of Avril’s parents emigrated from Haiti without speaking English. His mom worked multiple jobs. His dad worked grueling hours. He spoke Creole with them. He lived only in apartments, which is why he wanted to buy his mom a house. Having a front yard was important. His dad, Jean Samuel, died in May. Avril made a promise to him long ago that he wouldn’t play in the NFL for more than 10 years for health reasons. Avril has two sons of his own. One was born in 2011. The other was born in October. He had the same awakening as most parents. The present became inseparable from the future. He finished his degree from Purdue in 2012 and brought his son to the graduation ceremony. He walked with the other graduates, which was cool until he realized he was the old guy. You guys make a lot of money, you go to cool events. Do you think some guys in the league ever take that for granted? Have you ever had moments like that? Are you always on time? That is not the case with all athletes. Do you worry about your body, your health, down the road? Is it cool to be at this point where you’re playing for others? Early in your career you’re mostly playing for yourself, your own ego, but it seems you’re playing for something bigger. You have money. It’s a nice problem to have, trying to figure out what to do with your time, right? It’s hard, too, because you’re learning this stuff while you’re still playing. Avril is having his best season in Seattle, with 3.5 sacks in eight games. At times he pleads ignorance about the Seahawks’ opponent the following week or the standings. It seems strange and even a little cliché, because how could he not look at those things when we spend all week doing nothing but looking at them? But Avril is not lying. He has lasted eight years in the league by blocking out the long view, even while keeping the long view in mind. Cliff Avril was drafted by Detroit in 2008 with the 92nd overall pick. He signed with Seattle in 2013.